Right in the centre of Copenhagen. One of Europe’s fine dining capitals, as of a few years ago. 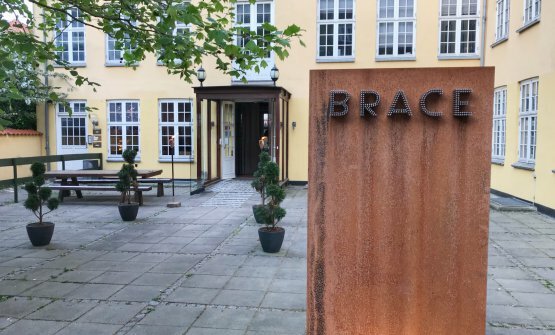 And not just thanks to Noma, which would be capable of monopolising the scene, but also thanks to Geranium, Amass, Relæ… Here, in a nice restaurant called BRACE – which from the outside looks like an elegant house – a young and inspired Italian chef is working hard to get noticed. With a strong desire to show that his skills go far beyond classic Italian cuisine. 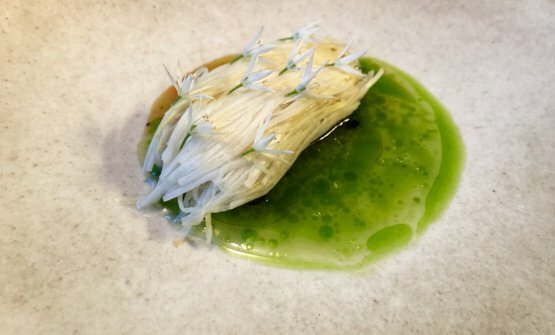 «I wanted to find out more about their work, about what was happening in Denmark; I was immediately fascinated by many of the features of the Nordic Cuisine movement, both because of their techniques and their use of wild herbs, for instance», he says, retracing the story that led him to Copenhagen. 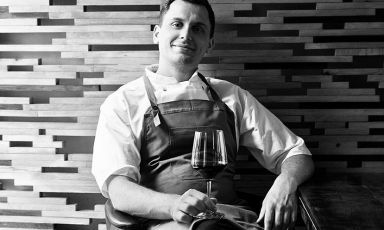 In fact, in the New Nordic Cuisine he found elements that reminded him of his homeland: «The area of Brescia, Val Camonica, the mountains, the woods, the small producers...». So following this input, Fanetti left. He arrived in the Danish capital early in 2011 and landed in a historic, very classic Italian restaurant, with a Michelin star, called Era Ora. 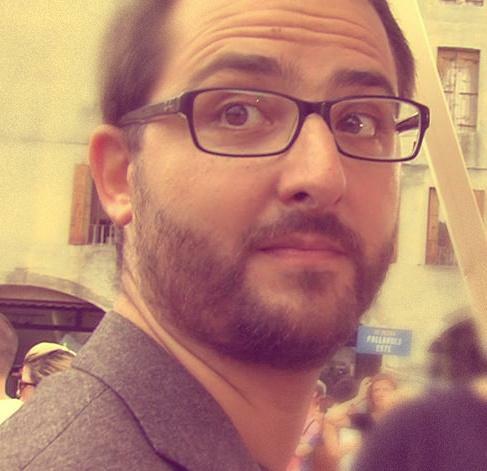 He worked there little under a year, «I just needed the money to do an internship at Noma». He makes the money, and the doors of Redzepi open. And what does the young chef from Brescia find? 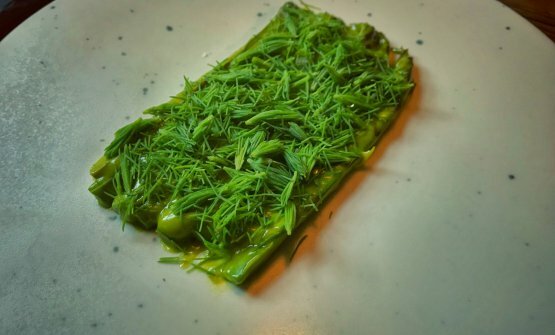 «At Noma I immediately realised that I wasn’t much interested in the recipes. I wanted to understand the method, the approach, the philosophy. When you understand a method, you can create the recipes yourself». After this experience, he goes back to Italy for one year, then they call him back at Era Ora, and offer him a job as sous chef. And later the management of the kitchen. For a couple of yearsFanetti works hard as executive chef in that restaurant. But their philosophy is distant from what he learnt at Noma. So in 2017 he leaves. And embarks a complicated adventure: «I wanted to open a restaurant of my own, but doing it here is not easy. Most restaurants are backed by large investors. I wanted to be my own owner. This is how BRACEwas born». Nicola pronounces it “breis”. We’re immediately surprised: «The name can be deceiving, I know, but it was my partner, who’s half German, half Brazilian and spent many years studying in the United States, who found it. Among other things, in the construction industry “brace” is a strengthening piece of iron used for the foundations of a building: we loved the idea and used it for our restaurant. In the same days when we opened it, our daughter was born. We liked this idea of sound foundations on which we could build». Indeed, Nicola Fanetti’s BRACE project is very sound. The restaurant is beautiful, capable of conveying a sense of informal, contemporary elegance. It’s both linear and warm. The service is very attentive, skilful and competent. 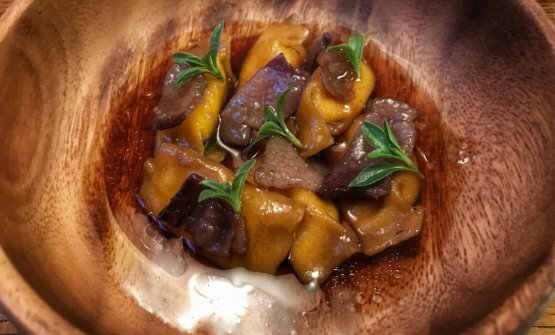 And the food is very interesting, especially as even though Fanetti has a very strong connection with Italy, his style is hardly Italian. «The last thing I wanted was to open the classic Italian restaurant abroad – confirms the young chef -. I would get easily bored, and I believe that other Italians, when they have a little curiosity and travel abroad, avoid Italian restaurants. Instead, I would like Italians to come too, and find something they won’t find in Italy. With a few familiar elements, and lots of surprises too». 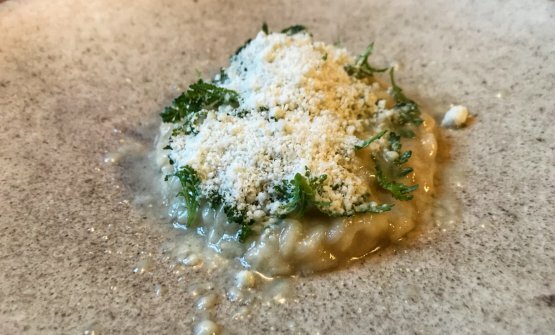 The perfect example of Nicola Fanetti’s work, within the 9-course tasting menu, is given by his Ravioli del plin filled with smoked ricotta, lardo and santoreggia. Aesthetically, it looks very Italian, but the flavours take you somewhere else: both thanks to the smokiness of the filling, and the light and very pleasant aroma given by the blueberry vinegar he uses when cooking the lardo (made in Denmark by an artisan who uses classic Italian curing techniques). And thanks to the intense clarified onion broth. 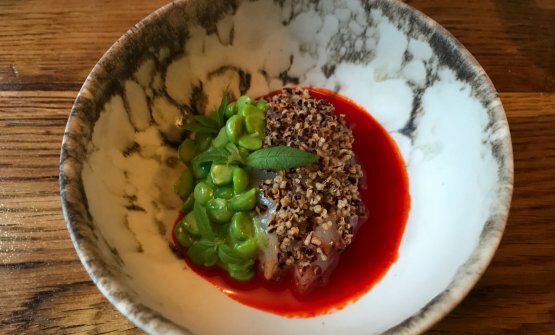 There’s another dish, among the most seductive ones in the “tasting menu” that is Italian only because of its green, white and red colours: Norwegian raw langoustine with fried quinoa, fresh peas, sea mint mayonnaise, reduction of red pepper, smoked paprika and lemon verbena leaves – charming. 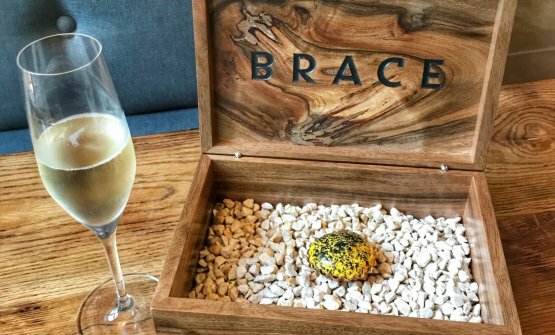 When you taste each element separately, you’re lost: the flavours and scents are strong, like in most of the recipes at BRACE. But once you mix them, there’s a surprisingly perfect balance, and the intensity of each element doesn’t create a contrast. In fact it helps enhance each aroma. When looking at the bigger picture, in many ways BRACE is a beautiful demonstration that very different, potentially conflicting elements, influences, traditions and people can find a new strength and intensity in dialogue and in meeting each other. Knowing how to mix with other cultures is hardly a threat for our integrity. In fact it’s an extraordinary way to reinforce one’s identity. Finally, the work of Felix Chamorro, sommelier at BRACE, also deserves to be mentioned. He’s Spanish of Mexican origins and graduated from Pollenzo. His skill in finding the pairings for the tasting menu is remarkable, and the idea of not presenting just Italian wines is coherent with the spirit of this "non-Italian" restaurant: so you can drink Paolo Bea’s San Valentino 2010, or Vignai da Duline’s Morus Alba, but you can also enjoy tasting wines from Galicia, Ollos de Roque from Augalevada, or Greece, the fantastic red Sitia from Oikonomou. And then you’re back walking in the streets of Copenhagen, smiling even more.